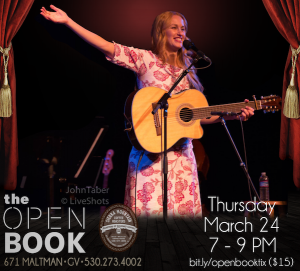 I’m excited to announce that I will be playing a full concert on Thursday, March 24th from 7-9pm at The Open Book in Grass Valley, California. I will be performing all-original songs from my two albums, Whirlwind Girl and Right Here Now, as well as some previously unreleased material. 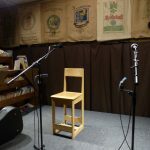 The Open Book (formerly Tomes Bookstore), is a sweet and intimate listening room, perfect for singer-songwriters and small ensembles. Seating is limited, so you may want to purchase your tickets in advance. Tickets are on sale now right here on my website. RSVP on Facebook and please share this post with your friends and family, thanks!